It’s not hard to read the writing on the wall. Google is spinning the update as something that will benefit mobile optimized sites–which is great if you already have a responsive mobile-friendly website. But it also means that non-mobile-friendly sites will be out-ranked by the optimized ones. And it makes sense after all: 60% of online traffic comes from mobile devices. Google is simply nudging web masters in the direction they should already be moving in. 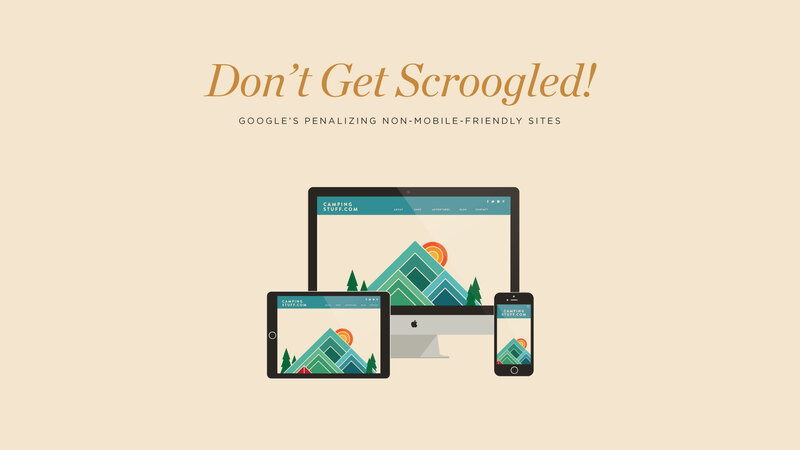 Mobile devices are the device of choice for accessing the internet, and users don’t want to “pinch to zoom” in order to see your content. They want a clean and intuitive mobile experience. Local businesses with brick and mortar locations could be hit hardest by this change. Users are accustomed to looking up local businesses on their phones to get directions, phone numbers, store hours, and view menus. Local businesses with non-mobile-friendly websites could lose significant business by not appearing in search results. Google seems to favor “responsive design” as the preferred method for serving mobile content. Matt Cutts, who leads Google’s web spam team, has pointed out that while other mobile formats are perfectly acceptable, responsive design seems to cause fewer issues than mobile solutions that split content between two urls. More info from Search Engine Watch. At Murmur Creative we use a combination of adaptive and responsive techniques when we build websites, because responsive design is not always enough to create a seamless mobile experience. Adaptive web design allows a website to change certain elements depending on the device that is loading the content. For instance, sometimes a navigation menu is too long or a picture is too wide to display properly on mobile phone. In cases like these, we use device detection techniques to implement design that is more apt for your screen size. Is your site mobile optimized? Let us know if we can help!